Tarawih vil begynne kl 00:15 og varer ca. 1 time. What is the IGMG? IGMG is an Islamic community which comprehensively organises the religious lives of Muslims. 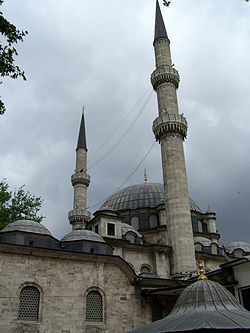 The IGMG not only aims at maintaining the Islamic teachings, proclaiming the Islamic creed and communicating religious duties resulting from that proclamation. Other than that the IGMG addresses all issues regarding Muslims while at the same time representing … Les merWhat is the IGMG?